Great post, Aileen. And so much wisdom here. My daughters both went to college at one that WASN'T their first choice going in. I MADE then choose a second school to visit before making a decision and tha t was the school that "felt" right & that they fell in love with. Same thing happened to my son, Cathy. It's a multi-faceted decision, isn't it? Thanks for reading and for your comment! Wow, I had no idea about the scholarship money. It makes total sense though. I am going to share this with friends and family. Thank you for such great info. Thanks Renee! Glad you found some helpful info here. 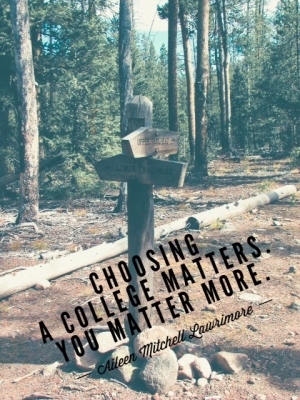 College is so expensive and the choice is so difficult, students need all the encouragement they can get. Thanks again for reading!